The Santa Claus Club has been providing food, clothes, toys, bicycles, school supplies, and household items to needy families in Puerto Peñasco for the past 31 years. For the first 24 years we held a Christmas Party in Cholla Bay on Christmas Day. In 2007 we changed our format to a year round program. We now provide our services door to door on a weekly basis. This also gives us a better understanding of the needs of the families we are trying to help. From 2007 thru the third quarter of 2013, the Santa Claus Club has passed out 6117 food bags with 248,010 pounds of food, 2791 bicycles, gave 32,059 children toys, gifts and school supplies and passed out 99,645 pounds of clothes. In 2013 thru the third quarter, we have passed out 1066 food bags with 42,640 pounds of food, 337 bicycles, gave 4,427 children toys and school supplies and passed out 32,420 pounds of clothes. Besides the items we keep totals on, we have passed out thousands of pairs of shoes, blankets, towels and sheets. We have also made donations to the Casa Hogar (seniors home), Bomberos of Rocky Point, Red Cross, Santa Fe Clinic, Santa Maria Clinic, Clinic San Jose, Sandy Beach Clinic and the DIF Orphanage. We are working year round collecting items for delivery into the barrios. If you have anything to donate, it can be dropped off at the Baja Hotel in Peñasco or JJ’s Cantina in Cholla Bay. We have fund raisers several times a year: Chili Cookoff at Playa Bonita and JJ’s Cantina, garage Sale at Playa Bonita and JJ’s Cantina, Over the Line Softball Tournaments on Sandy Beach sponsored by Baja Hotel and Cantina, One Club Golf Tournaments sponsored by JJ’s Cantina and an Auction on Thanksgiving weekend at JJ’s Cantina. Thanksgiving weekend, we are having the Garage Sales on Nov. 28 Thursday and Nov. 30 Saturday. The Auction is Friday Nov. 29 due to the ASU vs U of A football game. Garage Sales are 8am to 2pm and the Auction starts at 1pm. Drop off items for either event at JJ’s Cantina. 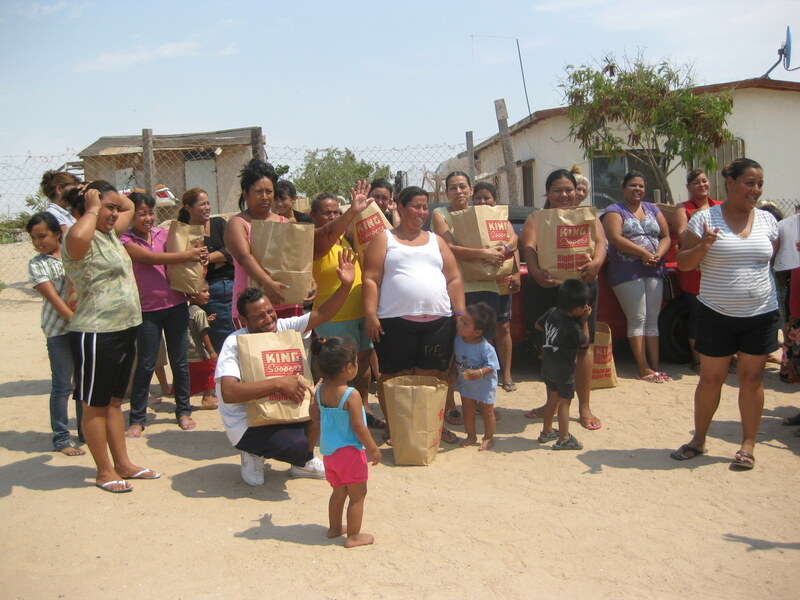 The Santa Claus Club has a web site www.santaclausclub.org with pictures and totals of goods delivered into the barrios. 2013 totals are updated on a quarterly basis. You can e-mail us at santaclausclub@hotmail.com. There is also information of facebook under John C Fowler III. If you have any questions about our family of people trying to make a difference, call us at 602-840-1528. TO JOIN OR REJOIN THE 2013 SANTA CLAUS CLUB, FILL OUT THE FORM BELOW AND RETURN IT TO JOHN FOWLER, P.O. BOX 5, LUKEVILLE, AZ. 85341. OUR DUES ARE ONLY $20.00 A YEAR (ABOUT THE COST OF 1 CUP OF COFFEE A MONTH FOR THE YEAR. ANYTHING EXTRA IS GREATLY APPRECIATED. 100% OF YOUR DONATION IS USED FOR THE FAMILIES IN THE BARRIOS. ON BEHALF OF THE FAMILIES THAT BENEFIT FROM YOUR GENEROSITY MUCHAS GRACIAS.